4-Word-Build is an excellent conflict resolution exercise to elicit a shared understanding, or a shared vision of an idea or concept. It also identifies that we usually do not have such a shared vision - but that we can create one. The exercise can also provide an insight into the ways in which decisions are made within any given team or group, and as such is an excellent teamwork exercise. So what is the 4-Word-Build Exercise? Choose a word, idea or concept that you want the group to explore. *An idea you are providing some training in - for example I have used it for the words 'Mediation', 'Conflict', 'Teamwork', 'Communication' etc..
*A new initiative in your organisation - the exercise will enable you to find out what people's understanding of it is at the moment. *A difficult situation that it has been hard to discuss - for example it could be 'smoking breaks' or some other issue. First of all give each person in the group a sheet of paper and a pen. Ask each person to write down 4 words that come up for them when they think of the word or concept being explored. They should not consult with others, just write down their own ideas. If they seem hesitant, point out that there are no 'right' or 'wrong' words, just their own ideas. Next, ask the members of the group to form pairs. If there is an odd number of people, a group of 3 can also be formed. In the pairs, there will now be 2 people with 8 words between them which represent, for them, the word being explored, in this case 'conflict'. Ask them to agree on 4 words to keep from their 8 original words, and therefore they will also have to eliminate 4 words. 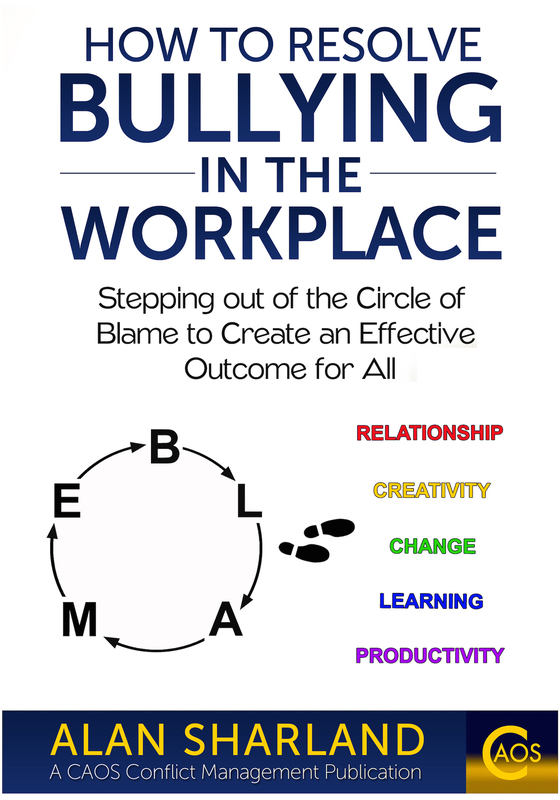 The book contains many other innovative exercises to help explore communication and conflict. This can lead to a lot of discussion about the words and the reasons why they chose them. Through doing so they will come to understand each other's reasons for the words they chose and how they understand the original word or concept. Their decision to keep or eliminate a word will need some form of decision making and the means by which this happens can, in itself, be of interest later in the exercise. Next ask each pair to join with another pair and do exactly the same thing. That is, there will be groups of 4 people discussing 8 words and they will need to reduce the 8 words down to 4. (Again, if the numbers don't quite work, you may create different sized groups....... see below for an example of ways you can do this). This further discussion of the original word, this time with each pair bringing their learnings and insights from their own discussion, creates even deeper exploration of the word or concept. The outcome of this will be groups of 4 people with their group's 4 words to represent the word being explored. Ideally, have the whole group's 8 words visible to all, for example on a flip-chart or whiteboard, with the original word or concept above the list of 8 words. Various different questions can then be asked about the exercise. - Ask for any observations any of them have about the final words. - Ask if there are any new insights into the original word that they gained through the exercise. - Ask how they felt about doing the exercise. - Ask what, if anything, they learned from doing it. The group will already have had a rich discussion of the word or concept the exercise is exploring, but now they can see where they got to as a group. This is likely to have led to various insights and learnings for many of them and sharing them in the group is likely to increase this. It will not be possible to list all the different possible nuances and aspects that can arise in facilitating these different applications of the exercise, as they will be very dependent on the context of the situation. But hopefully it can be seen that this is a very non-threatening, all-involving exercise that can tease out the different views and understandings held by the members of the group that are associated with the word or concept being explored. A common cause of communication breakdown in groups or organisations can be a range of different interpretations of a basic idea or concept. There can be many assumptions that there is a shared view when in fact there is not. This exercise can vastly increase the level of consensus regarding a particular topic or initiative or concept or issue and its potential for application is extremely broad. Were they passive in one group and more active in another? Did they try to 'dominate' the discussion and decision reached? Did they take into account the contributions of others? Did they feel listened to in their group? etc. Various questions can be asked and discussion of the answers enables reflection and observation on the approaches used to come to decisions in a group. It is important that there is not deemed to be a 'better' way or a 'worse' way of doing so but that this review is used to identify the kinds of approaches used. Obviously if an approach is used which is genuinely not felt to be effective then the approach should be challenged and not any particular person. Anyone could be prone to using the approach at some time, even if one person is seen to use it more than others. It is unlikely to lead to a useful discussion if finger pointing and criticism occurs. It is a very useful Teamwork exercise when used in this way and if this is the intended focus then the original word is of lesser importance. Of course you could actually use the word 'Teamwork' for the exercise and see if the words that come up for the whole group match the experience of the group members in carrying out the exercise! That can then lead to another interesting discussion with regard to the group's perception of itself compared to the reality experienced in carrying out the task. The Principles of Effective Communication and the Underlying Philosophies of Mediation will inform good practice in facilitating the discussion. Play around with the numbers involved. For example if you have a group of 7: When each person has listed their own 4 words you could ask them to form 2 pairs and a group of 3. The next stage could be to ask one person from the 3 to join one of the pairs and the 2 remaining to join the other pair taking their 4 words to each group. This then leaves 2 groups, one of 3 and one of 4 which can then go on to do the exercise again, leading to 8 words for the whole group. Alternatively you could ask the 7 to do 3-word build on their own and then go straight to a group of 3 people (9 words in total) and 4 people (12 words) and ask each group to agree on 4 words each, again leading to 8 words for the whole group at the end. And of course with both options there is the possibility of a final round where the 2 groups join to make a group of 7 to reach just 4 words for the whole group! 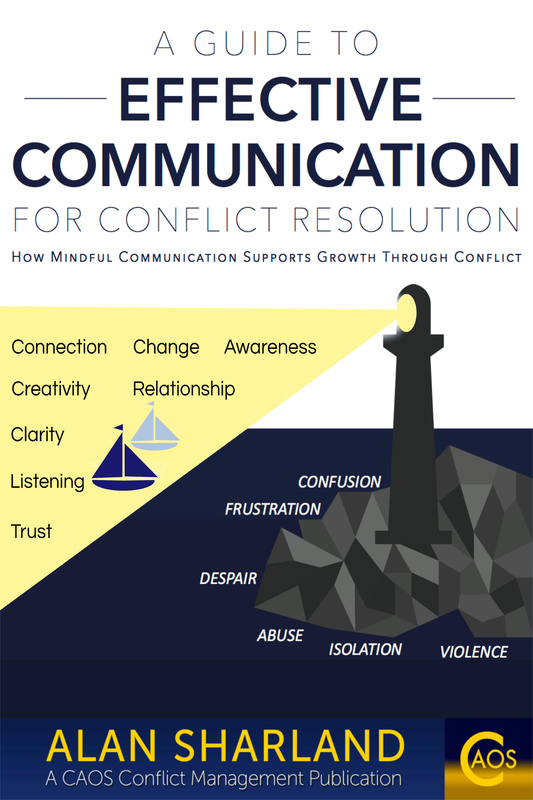 If you liked the above exercise, you may also be interested in the following conflict resolution exercises and effective communication exercises that I have also used on training courses. An exercise exploring our assumptions about others, that I have used on training courses for Mediators. One of the benefits of the exercise is that it promotes self awareness with regard to how we see others, and how this can affect our impartiality, when we work as Mediators, but also how it affects our responses to others whether as mediators or not. It can easily be assumed that we all experience these in the same way, but this exercise can highlight a range of differences amongst participants. This, in turn, helps us to understand what constitutes good listening and effective communication.